As 2017 nears its final month, we want to show our appreciation to our customers, who we also consider friends and family. This year has not been easy for Houston. We encountered the worst flooding in our city’s history and arguably the worst natural disaster in our history. Through it all, we have come out Houston Strong. It has been a resounding phrase that has echoed in all of our hearts. 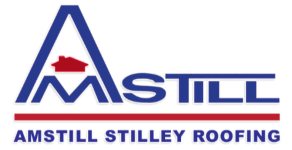 At Amstill Roofing, we know that it comes down to working together and helping each other. We know the Hurricane Harvey disaster put many in fear of what would happen next. 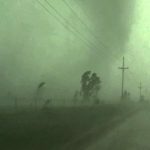 This is why we were certain to put the word out that we would be doing everything in our power to help Houstonians, whether through fixing roofs or making donations for those in need. We love this city and it has been a sight to see how everyone has come together to pull each other through the hard times. Your phone calls and emails for help with your roof was simultaneously heartwarming and heart-wrenching. It was heartwarming because we knew that you trusted us with your homes. It was heart-wrenching because we understood how difficult and scary a time it was for all of us. We couldn’t wait to get out and begin assisting those in need and making Houston roofs safe and strong again. We were able to do just that, as our customer reviews show. We are so proud of our team for working tirelessly and for our city for banding together. If your roof is suffering from leaks, missing shingles, or other roofing issues, then contact our Houston roofing company. We specialize in roof repairs and roof replacements. We provide every type of shingle, with some having a lifetime of more than 50 years. We look forward to hearing from you and bringing you into the Amstill Family. Thank you, Houston. Let’s always stay Houston Strong. Thankful for the Roof Over Your Head? Now is the time of year to count your blessings. When growing up, most of us learned to be thankful for a certain thing: a roof over our heads. After Hurricane Harvey, there have been a lot of Houston homeowners who have needed new roofs so that they can continue to protect their families from the elements. 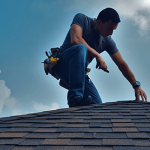 Amstill Roofing has been serving the Greater Houston area since 1974 and has been a top provider of roof replacements and roof repairs for local homeowners. We have given countless thousands of Houstonians the reason why they can say that they are thankful for the roof over their heads. Our work is guaranteed and warrantied for customer satisfaction. During this great holiday season and for tomorrow’s Thanksgiving Day, our Amstill family is thankful for our extended family, which are our customers. Our complete goal is to ensure that every homeowner is more than satisfied with their Amstill roof, whether they needed a roof replacement or roof repair. We have encountered countless homeowners who have suffered from Hurricane Harvey, but are now back on their feet with a strong roof to see them through any rough weather in the future. Our Houston roofing company is here to ensure your roof is prepared for any storms. Roof storm damage has always been an issue in our city because of unpredictable weather. Whether hail, strong winds, rain, sleet, or even on the rarest of occasions, snow, our roofing professionals will make certain your roof is ready. Before 2017 comes to a close, contact our Houston roofing company for a free inspection to see if you may need a new roof. Give your home the roof it needs. Depending on the type of shingles you choose, you may never have to receive a roof replacement again. We look forward to hearing from you. 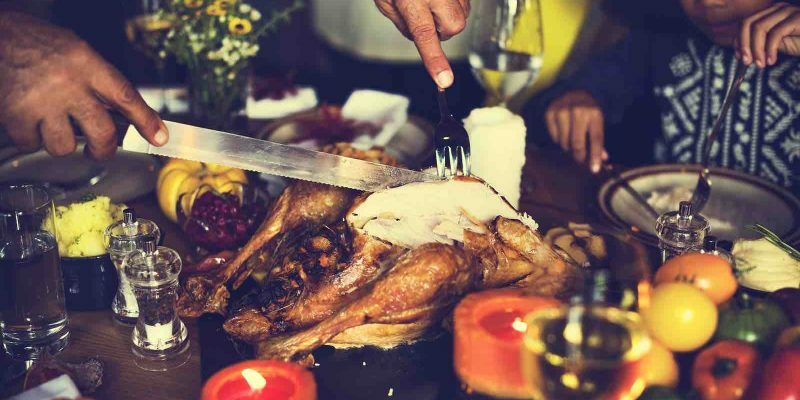 From our Amstill Roofing family to yours, Happy Thanksgiving! Thanksgiving is next week, which means family will be coming over. Now is the perfect time to get a roof replacement. A new shingled roof can really help beautify your home and make it stand out for the holidays and for the following years. The holiday season is the time when Houston homeowners become very aware of how their home looks. It is also a time when weather is more than unpredictable (though, isn’t that always the case here in Houston?). 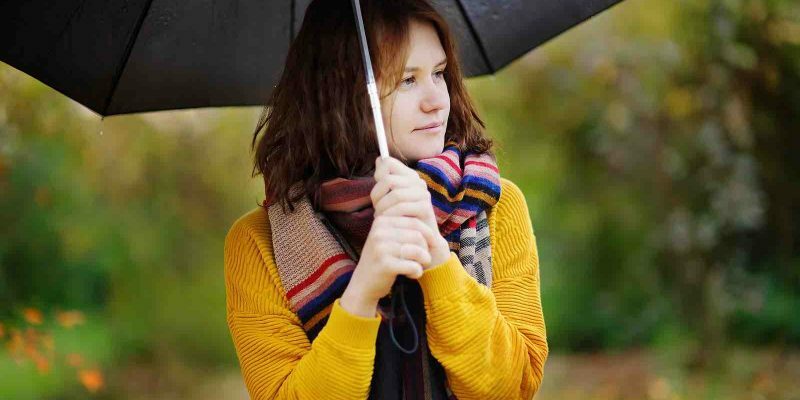 The weather during the fall and winter is full of cold fronts and rain storms, which produces dead leaves and full gutters. SIDE NOTE: Keep an eye open on those gutters. The wet dead leaves that build up can cause problems to the trim of the roof and its interior. Be sure those gutters stay clear of dead leaves. A roof replacement is necessary when shingles hit the 20-year mark (for typical shingles). When roofing shingles get old, they begin to crack and break or completely pull away from the nails, leaving gaps in the shingles. These gaps can wreak havoc on a roof because it allows for rain and wind to do more damage than usual. This damage can include creating leaks within the infrastructure of the roof. Keep your entire home safe with a new roof. Our Houston roofing company has been building roofs since 1974. 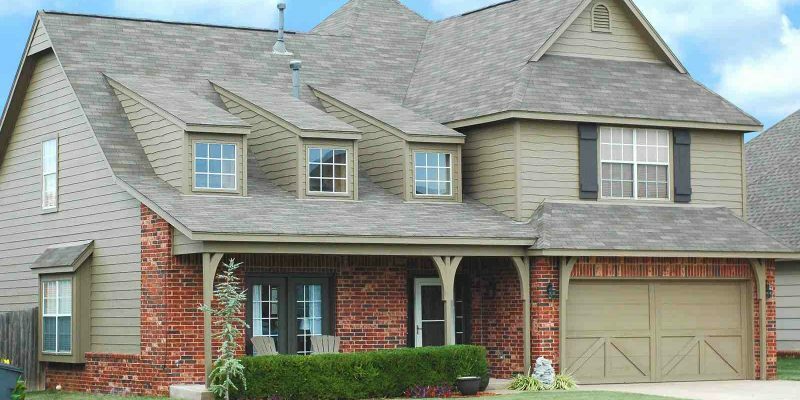 Our roofing company offers various types of shingles, including 3-Tab shingles, laminate shingles, and architectural shingles. 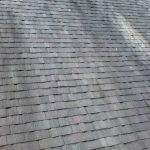 These types of shingles provide different warranties, ranging from 20 years to more than 50 years. Depending on which kind of roofing shingles you choose, you may never have to mess with your roof again. If you are in need of a roof replacement, then contact our Houston roofing company. One of our roof experts will come to your home to provide a free inspection. We will be able to inform you of what your roof needs, whether a complete replacement or just roof repairs. Before Thanksgiving Day arrives, contact us and have a new roof before you carve up the turkey. Is Your Roof Ready for Houston’s Rare Cold Weather? If you haven’t noticed, we have. The weather has gotten a little more chilly. Houstonians know that this pleasant and cooler weather won’t last very long, which means we have to take advantage of it in every way. One way to take advantage of it is by gauging the temperature in your house and how difficult it is to warm. If your heating system is working too hard to warm your home this fall and winter, then you may have cracks and breaks in your roof structure. 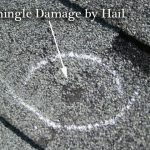 ROOF BREAKS AND CRACKS: When a roof has breaks or cracks in its structure, wind, rain and other elements can get inside and cause internal damage. This roof damage can range from mold to collapsing ceilings. When cold winds are uninhibited, it can really force the heating system to work harder than necessary, causing Houston homeowners to pay more in energy bills than necessary. MISSING SHINGLES: When shingles are missing, this makes it easier for the roof structure to sustain damage. Shingles are the first line of defense for your roof. Our inspections will check the life of your shingles and assess whether they need to be replaced or not. Shingles typically go missing when they have been hit with strong winds, tree limbs and harsh weather conditions. Old shingles are more likely to go missing when these instances occur. OLD SHINGLES: The last thing your roof needs is old shingles protecting it. They are apt to fly off with strong winds or crack and break with time and bad weather. The typical age for replacing shingles is 20 years. IS YOUR ROOF COLD WEATHER READY? If your roof is struggling to protect your home or if you think your roof may be in its final year of life, then contact our roof replacement professionals. 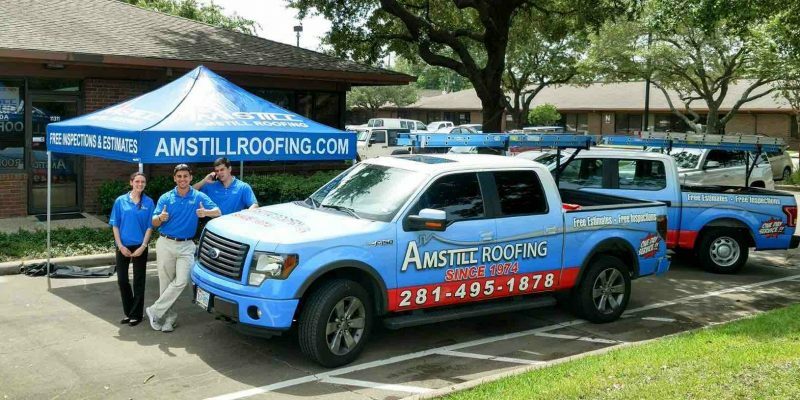 Amstill Roofing is here to check your roof and ensure it is prepared for whatever the Houston weather sends its way.